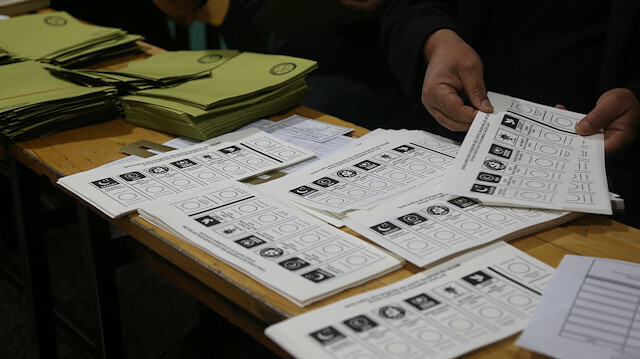 The recount process of the invalid ballots continues in Istanbul on Monday, after the Supreme Election Council’s (YSK) abrupt cancellation of the recount of 400 ballot boxes on Sunday as the AK Party (AKP) prepare their demand for an election re-run. According to reports, the recounting was stopped after the ruling AKP and its far-right ally, Nationalist Movement Party (MHP), refused to send witnesses to sign off reports indicating the data of recounted votes. The opposition, CHP, then appealed the ruling and the YSK announced its decision to continue the recount at 10 am on Monday. Commenting on the issue on Sunday, Baris Yarkadas, a former CHP lawmaker and journalist, said that AKP had anticipated different results from the Maltepe recount. “When [initial] results revealed to be other than what they [AKP] hoped for, they refused to sign the [recount] reports so that the process would continue. The power [AKP] defies [the will of] people,” he said in a tweet. The AKP’s Deputy Chairman Ali Ihsan Yavuz announced on his Twitter account on Sunday, that the party’s preparation for the extraordinary objection on the Istanbul re-run is almost ready. rejected AKP’s demand for a total recount and ruled, instead, a partial recount on Tuesday. AKP then resorted to an extraordinary objection process before the YSK, appealing for a re-run of the Istanbul mayoral elections. AKP has been trying to prove widespread voter fraud in Büyükçekmece district of Istanbul in order to make the re-run possible. The election authority has postponed this ruling until the votes recount in the Maltepe district of Istanbul is finalized.